It’s time to put the mic away, forget feeling like a cool creative, and start thinking like the business that you are. 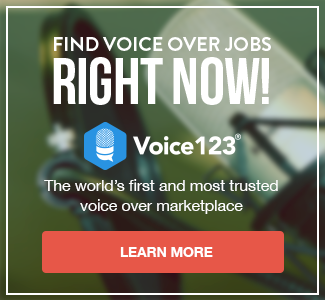 Typically, voiceover artists are not business folk, but as the CEO and full staff complement of your business of one working from home, you’d better get used to the idea. While It may even seem uncomfortable at first, when your budget is balanced and you’re doing what you love to do full-time, you’ll be happy you made time for both. Be professional, create a business name, register the company with your state and local government and open a separate bank account for the business. You can track expenses better and purchase equipment through the business bank account making it easier at tax time. Plus it’s really cool to hand out business cards or have a check card with an official logo and company name that you own on them. Money isn’t everything—but if you can find a way to live without it, do let us know! Until then, we hope you’ll find this chapter helpful. Hi Steven, thanks for your articles dealing with Voice Over Taxes. Do you have an email address where I can contact you with some more specific questions?